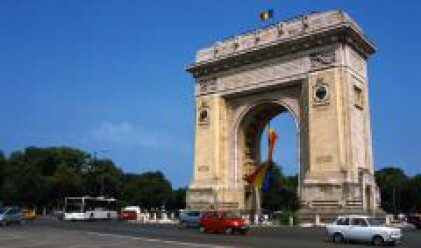 The rise in the price per square metre of the flats in Bucharest has slowed down, after it registered just a 1% increase between January and March, to 2,050 euros/square metre, reveals a survey conducted by ZF of the three-room flats built between 1980 and 1990. The almost invisible growth lately, partly generated by declines in certain areas and timid upward trends in others, comes after almost a year when prices went up by at least 4 to 5% a month. Last year's overall growth reached 50%. Compared with March last year, when the average price per square metre amounted to. 1,430 euros, growth stood at over 40%. The prices of flats almost tripled from 2004 through 2007, and increased the most in 2005 (65%). 2008 could therefore be the first year since 2004 when prices will either stagnate or just register a slight increase. ZF's analysis is based on the sale ads for three-room flats, which are the most stable in terms of prices, placed on anuntul.ro. Although, more often than not, the prices asked by sellers or real estate agencies do not represent the final prices, the ads serve to capture the trend of the market. Some of the players on the market anticipated a slower growth rate, after flats in the new residential developments were delivered. About 6,000 homes are scheduled for completion in Bucharest this year, according to a ZF analysis, whereas 2,541 homes were delivered on the Bucharest market last year, according to the National Statistics Institute data. At the same time, the slower rise in prices was also due to the increase in the reference rate by the National Bank, as well as to the depreciation of the domestic currency against the euro. The increasingly higher prices are blocking the sale of the flats, even though demand remains high. As a result, despite demand put at 135,000 hosing units, half of the new homes completed in Bucharest last year are empty, reveals a survey by Polish consultancy company REAS, in partnership with consultant Nicusor Dinu. The area with the highest price increases from January through March is Militari, where the average price per square metre exceeded 1,800 euros, compared with 1,625 euros per square metre in January and 1,100-1,200 euros a year ago. This growth came after similar trends in other areas quite far from the city centre such as 1 Decembrie, Berceni and Colentina, which registered growth at over 50% in the past year. Next in terms of growth was Aviatiei, where the current asking price is about 9% higher than in January. The Northern area of the Capital has become increasingly more attractive with the expansion of residential areas in new districts such as Baneasa and Pipera. The price declines were registered in areas considered expensive, where a square metre costs around 2,000 euros, such as Unirea, Dorobanti and Decebal.